March 2016: “…After working with Maps over a few months, we were very impressed by his professionalism. Although he is young, he exudes warm confidence, ambition and charisma. Combined with his entrepreneurial spirit, he is a perfect fit for Investec Private Banking. 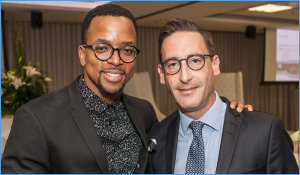 November 2015: Most of us are by now familiar with Maps Maponyane: local A-lister, actor, model and South Africa’s best-dressed man title holder. One look at his Instagram account and you’ll notice no shortage of adoring fans complimenting him and his sense of style. This summer, Maps has been working with Spree.co.za, selecting his favourite menswear pieces available from the retailer, to add to his EDIT online. 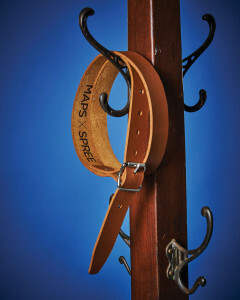 Now, weeks into the partnership, Spree is proud to reveal the expansion of the relationship that sees Maps flex his designer muscle and collaborate with the online retailer to design and locally produce his first fashion label: The MapsXSpree Collection. Each item in the collection is Maps’ interpretation of a classic menswear summer staple. “My main focus for the range was on versatility and practicality of the items. Being able to layer and play around with them – shirts tucked in, or out – keeping things adaptable so that men can make their look personal”, comments Maps while discussing the range.